Couple Quotes: You are beautiful just the way you are. I want you to know that. You are beautiful just the way you are. I want you to know that. Scars and flaws doesn’t matter. That special someone is beautiful just the way he or she is. And you gotta let him or her know that. Let your boyfriend, girlfriend, husband or wife know that he or she is beautiful JUST the way they are by sending or sharing this quote. Make him or her smile today, send this lovable quote! If you like this lovable quote, you’ll LOVE to follow us! 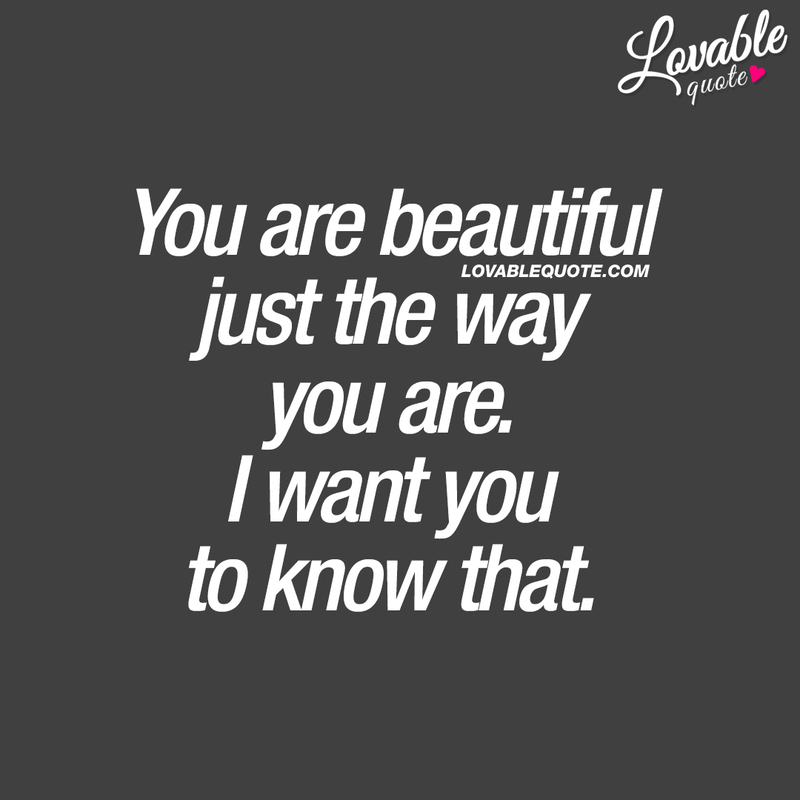 This “You are beautiful just the way you are” quote (text and image) is copyright © Lovable Quote 2018.